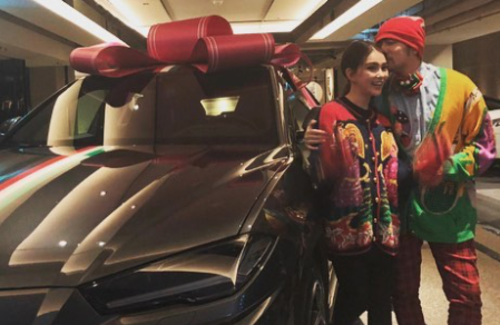 Last month, Hannah Quinlivan (昆凌) gifted her husband Jay Chou (周杰倫) an expensive Lamborghini to celebrate both Christmas and his 40thbirthday, which was on January 18th. 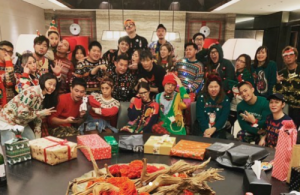 A seemingly innocent gesture, the 25-year-old actress came under fire for spending her husband’s money on the car, priced at NT $9.99 million. Thus, Hannah came out to clarify she bought the gift with her own money. In fact, she colluded with their friends to give Jay the big surprise. 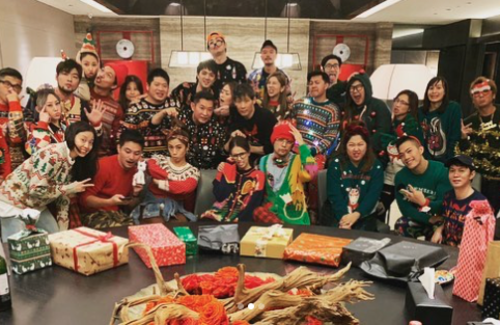 During last year’s Christmas party in which everyone wore ugly Christmas sweaters and exchanged gifts, Jay was tricked into selecting the “shoebox” that Hannah had prepared in advance. Upon opening the box, Jay was given some clues in which he had to look for his gift, and the last clue required him to head to the garage and close his eyes. Once he opened his eyes, he went crazy – right in front of him was a Lamborghini Urus, a luxury crossover SUV. Let’s just say that f her husband isn’t rich and famous, she wouldn’t have the money to buy the car because one still need to pay for day to day expenses.